Back by popular demand… Designer Purse Reverse is sure to be a fun-filled Girl’s Night Out with all your friends. This is your chance to win beautiful handbags from the designers you love: Coach, Michael Kors, Kate Spade, Ralph Lauren and Dooney & Bourke. Over 30 amazing designer handbags are available to win throughout the night! We have a great night planned again this year… more purses, more games, more surprises, more chances to win and more fun! Event Time: Doors open at 5:00 p.m. Event begins at 6:30 p.m.
Includes purse sponsor signage and program recognition. 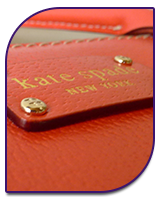 A chance at an exclusive purse for table members only. All proceeds from this event will be used towards the purchase of therapy equipment for our clients and students at Sara’s Garden and New Horizons Academy. 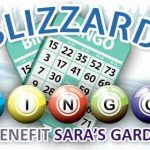 Sara’s Garden is a recognized 501(c)(3) non-profit organization and is the only facility in the United States to offer Autism Intervention, Conductive Education, Hyperbaric Oxygen Therapy, Occupational Therapy, Sensory Integration and Speech-Language Pathology services. 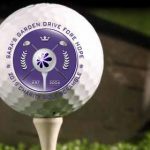 For more information regarding event sponsorship opportunities, please contact Jackie at 419.335.SARA or via email at jackier@sarasgarden.org.